This episode we bring you Shanthi Sekaran reading from her debut novel, The Prayer Room. Spanning decades, continents, cultures, sexes, generations, classes, and races, The Prayer Room pairs an unlikely English student with a young woman from a traditional Indian family and plops them in Northern California. How they got there and what ensues is storytelling at its best. Please enjoy Shanthi Sekaran. 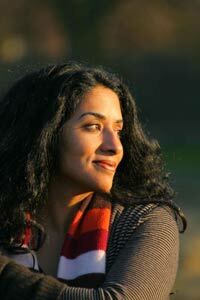 For more, read Shanthi Sekaran's Apostrophe Cast Interview and also visit Shanthi's website.